Treasure Maps are a set of mice Hunters are required to catch for a special reward. The difficulty, number and the location of the mice on the list depend on the type of map, and each type of map yields a different type of Treasure Chest. The mice on the list may be caught in any order, except for the final mouse of a Wanted Poster. Up to 5 Hunters may work a map at any one time. Only 2 Hunters may work a Wanted Poster at any one time. These maps are found in Scroll Cases purchased from Cartographers and allow up to 5 Hunters at a time to work together to complete them. Wanted Posters are a special type of area-specific map. They are found in Sealed Wanted Posters dropped by the Bounty Hunter Mouse and only allow 2 Hunters at a time to work together to complete them. Mice must be caught in a specific order. Mice in specific areas of the Kingdom are the focus of these map. The rewards for these maps are related to the areas with which the maps are associated. The rewards for these maps are not affected by the Season of map hunting during which they are awarded. These maps are found in Chrome Scroll Cases and allow up to 5 Hunters at a time to work together to complete them. Mice from throughout the Kingdom are the found on these maps. These maps are found in Scroll Cases, usually as loot, during Events and allow up to 5 Hunters at a time to work together to complete them. Event Mice are the primary focus of these maps. The rewards for these maps are related to the Events with which the maps are associated. Most of these maps can be redeemed before completion if the Map Captain activates Consolation Mode. These maps are found in Gilded Scroll Cases and allow up to 5 Hunters at a time to work together to complete them. These maps are found in Golden Jade Scroll Cases and allow up to 5 Hunters at a time to work together to complete them. Mice from throughout the Kingdom are the focus of these maps. These maps are found in Rainbow Scroll Cases and allow up to 5 Hunters at a time to work together to complete them. These maps can be redeemed before completion if the Map Captain activates Consolation Mode. These maps are found in Relic Hunter Scroll Cases and allow up to 5 Hunters at a time to work together to complete them. The rewards for these maps are affected by the Season of map hunting during which they are awarded and may contain season-specific items. These maps are found in Slayer Scroll Cases and allow up to 5 Hunters at a time to work together to complete them. Extremely difficult mice from throughout the Kingdom are the focus of these maps. These maps are found in Toxic Scroll Cases purchased from the Toxic Spill Cartographer and allow up to 5 Hunters at a time to work together to complete them. Mice in the Toxic Spill are the focus of these map. The rewards for these maps are related to the Toxic Spill. The Hunter who initially opens the Scroll Case, starting the map, is called the Map Captain. If the Map Captain leaves the map, the title is transferred at random to another Hunter currently working the map. Only the Map Captain can invite other Hunters to join in completing the map. It is not possible to transfer the Map Captain position in any other way. Hunters may only follow one treasure map at a time. Hunters may leave a treasure map, but will not receive any rewards if they do so. Hunters who leave a map can be invited back by the Map Captain, provided there are open slots. It is not possible to remove another Hunter from a treasure map. Each time a Hunter catches a mouse on the map list, they are awarded a Treasure Map Clue. Clues are seen as loot dropped by the captured mouse and are tracked in the Treasure Map HUD pop-up. It is not required to actually catch any mice from the list to receive the rewards for completing the map. Rewards are given only to those Hunters on the map when the map is completed. Joining a treasure map creates an entry in the Hunter's Journal. I have joined in on a treasure hunt! I should help catch the mice required to find the treasure chest! I have joined in on a Wanted Poster hunt! I should help catch the lawless mice to earn that Bounty Reward! I've caught a member of the gang! Only X remain until I can smoke out the ringleader! I've caught the crew and have found where the ringleader is hiding out! I should hunt him down to receive my Bounty Reward! I successfully completed a [Map Name] Treasure Map! Everyone who helped has been rewarded with one [Map Name] Treasure Chest each! [Hunter Name] caught [Mouse Name], ending the treasure hunt! 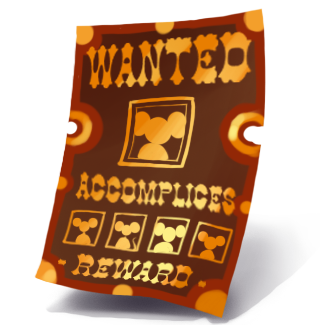 I successfully completed a Wanted Poster: [Gang Name]! The Marshall granted us our Bounty Reward for turning in this lawless gang of the Wild Bunch. Time to find another Wanted Poster! Clicking on the claim link allows the Hunter the option of sharing the news via Facebook, and rewards a Luck Charm to the first three friends that follow the link on the post. Leaving a treasure map creates an entry in the Hunter's Journal. I left the treasure hunt. I should hunt and catch a Relic Hunter or visit a Cartographer to obtain a new Treasure Map! All Maps can be upgraded from Common to Rare by applying Rare Map Dust. Any Hunter working on the map can apply Rare Map Dust. Upgrading a map does not change the difficulty of or mice present on the map. Event maps released after the beginning of Season 3 can be cashed out if left uncompleted by the end of an event. Rare Map Dust is not returned to the person who dusted the map when the map is cashed out, but the rewards are increased. Rewards from Rare Maps contain twice the points, gold, and Ancient Charms, and have an added chance of rare loot. All Hunters on the map when it is completed will receive a Rare Treasure Chest. Rainbow Maps and Event Maps introduced after the beginning of Season 3 may be cashed out before completion when the Map Captain chooses to activate Consolation Mode. Activating Consolation Mode rewards the Map Captain with a consolation prize based of the completion level of the map. Hunters remaining on the map may then choose to also accept the consolation reward or attempt to complete the map and earn the reward chest. Rare Map Dust will not be returned, but dusted maps that are cashed out will have higher consolation rewards. Invites to the map can no longer be sent or accepted once the map is in Consolation Mode. The Treasure Map HUD can be accessed by clicking on the icon in the section of the main HUD that includes the Hunter's rank, gold, and points. The HUD is a pop-up and allows Hunters an overview of all map-related activities. Friend and Global Scoreboards showing rankings based on total Treasure Map Clues found are shown here. There are several tabs in the middle of this view. Then along the bottom (regardless of the selected tab for the middle content) is a box giving a hint on the current location of the Relic Hunter Mouse. On the right side is a miniature scoreboard listing rankings of Treasure Map Clues looted. If the Hunter has been invited to join a map, those invitations will appear here. Hunters can see the type of map they have been invited to, the other Hunters working the map, and the progress that has been made on the map. A map can also show as full, or as expired if it has been completed or abandoned with no replacement map captain. Each invitation includes a button to Delete the invitation; additionally, if a hunter is not currently on a map and the invitation is still valid, an Accept button lets the hunter join that map. When this tab is active, the right panel also gains a button to Decline All Invites rather than having to clear things out one invite at a time. If the Hunter has any Scroll Cases in their inventory, they will be found here. Hunters can open Scroll Cases from this view to begin a map, but only if they are not currently hunting on a map. A complete list of Cartographers is found here and Hunters are able to travel to them from this tab. Hunters can also see a description of each Scroll Case, its cost and the cost to travel to the Cartographer on this tab. This tab is only accessible when a Hunter is working a Treasure Map. These maps are found in Relic Hunter Scroll Cases which are dropped by the Relic Hunter Mouse. The Relic Hunter Mouse removes 1 Ancient Relic from the Hunter's inventory when dropping a scroll case. When Hunters reach 20 Relic Hunter Scroll Cases in their inventory, the Relic Hunter Mouse will still be encountered, but will no longer drop scroll cases or take Ancient Relics. Mice from throughout the Kingdom are found on these maps. As the map difficulty increases, so does the variety of mice found and Hunters will need to travel more widely to find them. More difficult maps tend not to contain mice found in the low ranked areas of the Kingdom. All Relic Hunter maps can be upgraded with Rare Map Dust and will award Rare Treasure Chests when dusted. As Hunters increase in rank they are able to find more difficult maps inside Relic Hunter Scroll Cases. Relic Hunter Treasure Maps are subject to changes in the season of treasure hunting. Season 6 is currently in progress. Each chest is labelled with the season in which it was awarded. Chests from each season will contain rewards only from that season. Certain rare items can only be found in chests from specific seasons. These maps are found in Scroll Cases obtained from Cartographers in exchange for Ancient Relics. 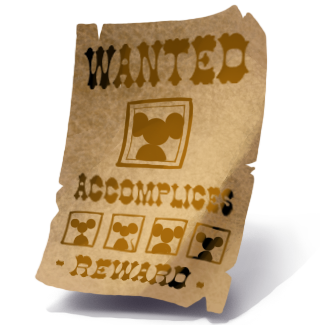 Wanted Posters are found in Sealed Wanted Posters dropped by the Bounty Hunter Mouse and do not require Hunters to own any Ancient Relics. The focus of these maps is on specific areas within the Kingdom and the Treasure Chests they reward contain items specific to those areas. Treasure Chests from these maps will not contain season-specific loot, so hunters looking for the Limited Edition weapon will need to complete Relic Hunter Treasure Maps. To obtain these maps, Hunters must be able to access the Cartographer where the Scroll Case is sold. This limits access to Hunters with the Rank necessary to travel to the location of the Cartographer. To be invited to join an area-specific map, Hunters must be of sufficient Rank to access the lowest ranked area where mice can be found. Sometimes this means the rank to join a map is lower than the rank needed to acquire the map. All area-specific maps can be upgraded with Rare Map Dust and will award Rare Treasure Chests when dusted. These maps are found in Toxic Scroll Cases which are available for purchase in the Toxic Spill Cartographer in exchange for 3 Ancient Relics. As Hunters increase in rank they are able to find more difficult maps inside Toxic Scroll Cases. Note: The Toxic Spill maps use the same code as the Relic Hunter maps but due to Hero being the minimum rank in the Toxic Spill,Hero ranked hunters are the lowest ranked hunter able to acquire Easy and Medium Toxic Spill maps. These maps can be redeemed if incomplete after the level during which they are opened ends. The rewards given are based on the level of completion when the map is redeemed, but Rare Map Dust will not be returned to the Hunter that provided it. Hunters must have found at least one mouse on the map to be able to redeem it. Only the Map Captain may activate the Consolation Mode, which will prevent any invites from being sent or claimed. Each remaining Hunter will be able to choose between claiming the consolation reward or attempting to complete the map and receive the reward chest. These maps are found in Scroll Cases that are available only in limited quantities to Hunters. These maps are found in Chrome Scroll Cases which may be made available in Ronza's Traveling Shoppe during one of Ronza's visits. Difficult mice from throughout the Kingdom are found on these maps. As Hunters increase in rank they are able to find more difficult maps inside Chrome Scroll Cases. Chrome Treasure Chests reward from 3 to 10 days of the Chrome Aura when opened, depending upon the map's difficulty. The duration of the Chrome Aura will stack with each chest opened. Gilded Treasure Maps are found in Gilded Scroll Cases acquired through Donation or the Marketplace. The mice found on these maps are tied to the rank of the Hunter that opens the scroll case. Mice are not meant to be difficult to catch. The reward chests provide 1 month of the Lucky Golden Shield when opened. Golden Jade Treasure Maps are found in Golden Jade Scroll Cases purchased from the Cartographer at Ronza's Traveling Shoppe. Hunters are limited to 100 Golden Jade Scroll Cases in their inventory. These maps award Ancient Relics instead of gold. Rainbow Treasure Maps are found in Rainbow Scroll Cases which are awarded during the King's Giveaway when opening Mystery Prize Packs. Hunters are limited to a single Rainbow Scroll Case during the event. The maps found inside Rainbow Scroll Cases depend upon the Hunter's Title when the scroll case is opened. These maps are found in Slayer Scroll Cases which can be found in Easy Treasure Chests, Medium Treasure Chests, Hard Treasure Chests, Elaborate Treasure Chests, Arduous Treasure Chests, and Gilded Treasure Chests, as well as their rare versions. Slayer Scroll Cases are not a guaranteed reward. Extremely difficult mice from throughout the Kingdom are found on these maps. As Hunters increase in rank they are able to find more difficult maps inside Slayer Scroll Cases. Slayer Treasure Chests reward from 2 to 10 days of the Slayer Aura when opened, depending upon the map's difficulty. The duration of the Slayer Aura will stack with each chest opened. These maps are found in Scroll Cases obtained during specific Events. Often they are dropped as loot by mice, but are sometimes rewarded for completing certain objectives during the event. The focus of these maps is on finding Event Mice and the Treasure Chests they reward contain items specific to the event. Treasure Chests from these maps will not contain season-specific loot, so hunters looking for the Limited Edition weapon will need to complete Relic Hunter Treasure Maps. To obtain these maps, Hunters must be able to access the Event Location where the Scroll Case is found. This limits access to Hunters with the Rank necessary to travel to the event location, which usually means a minimum rank of Recruit. To be invited to join an event map, Hunters must be of sufficient rank to access the event area. Maps from previous events can often be opened and completed during the next occurrence of the same event. This may require Hunters to search for certain non-event mice outside the event area. All event maps can be upgraded with Rare Map Dust and will award Rare Treasure Chests when dusted. After the start of Season 3, all new event maps can be redeemed if they remain unfinished at the end of the event. Redemption will reward all participants with gold, points, and other items, based on how much progress has been made on completing the map.. Redemption will not return Rare Map Dust to the Hunter who dusted the map, but will increase the consolation rewards. All event maps that were released before the beginning of Season 3 on 23 June 2015 will not be redeemed if they remain unfinished at the end of an event. These maps can be redeemed if incomplete after an event ends. The rewards given are based on the level of completion when the map is redeemed. Rare Map Dust will not be returned to the Hunter that provided it, but will increase the consolation reward.. Hunters must have found at least one mouse on the map to be able to redeem it. These chests will be dated with the year in which they were awarded. These maps cannot be redeemed if incomplete after an event ends. 1 This map contains both Lunar New Year Mice and Great Gnawnian Games Mice and cannot be completed unless both groups of mice are available during an event. 2 In 2012 and 2013 the scroll case and treasure chests were simply called Halloween Scroll Case and Halloween Treasure Chest. At the end of the Halloween 2012 event any remaining scroll cases in Hunter inventories were converted to standard Treasure Map Scroll Cases. In 2013 the Halloween Scroll Case was reintroduced. The names were changed in 2014 to 2012 Halloween Scroll Case and 2012 Halloween Treasure Chest. 23 June 2015: The Treasure Map system was overhauled. Area-specific maps were introduced along with a new map user interface. This page was last edited on 19 April 2019, at 09:37.